Image Resizer is the perfect tool to resize, flip, rotate, rename and change format for multiple images at once. Add entire folder, or just individual images to resize them without compromising visual quality. Resize Multiple Images at Once! 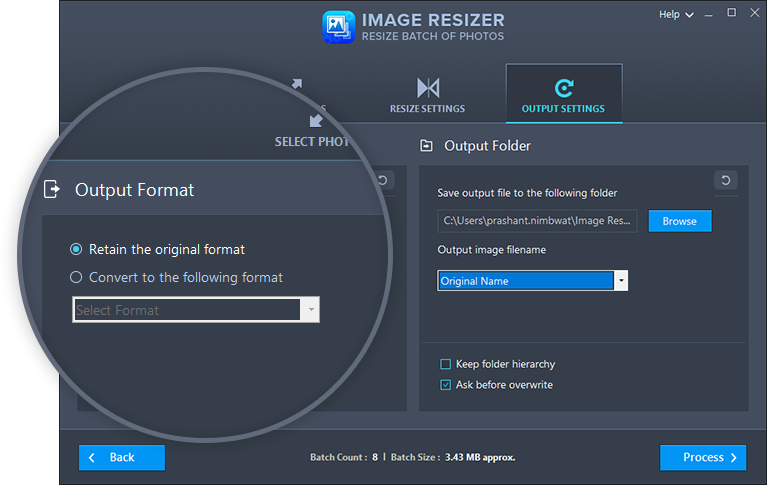 Resize single or batch photos quickly and efficiently. 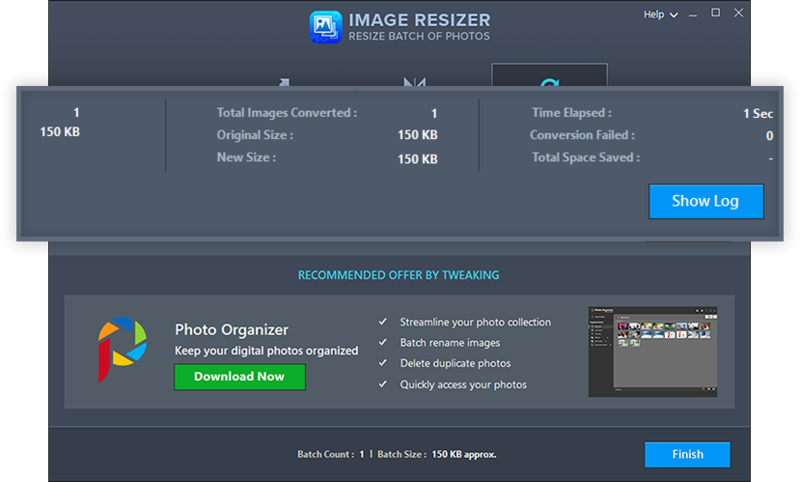 Whether it’s a single image file or an entire folder of photos, just add them to Image Resizer for quick rescaling. 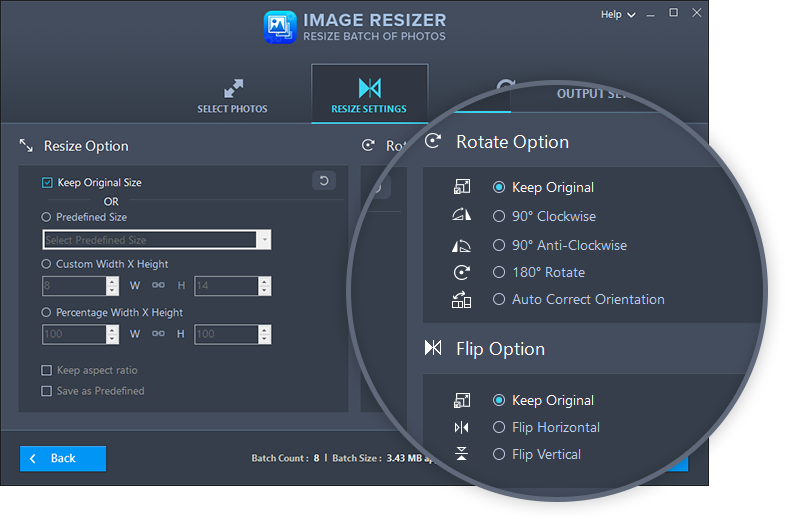 Image Resizer comes with all necessary settings you need, to correct orientation in images without hassle. Don’t just rescale images, but also convert and save them in a vast array of image formats. Quickly scale-up or scale-down images by choosing predefined dimensions, to save time and effort. 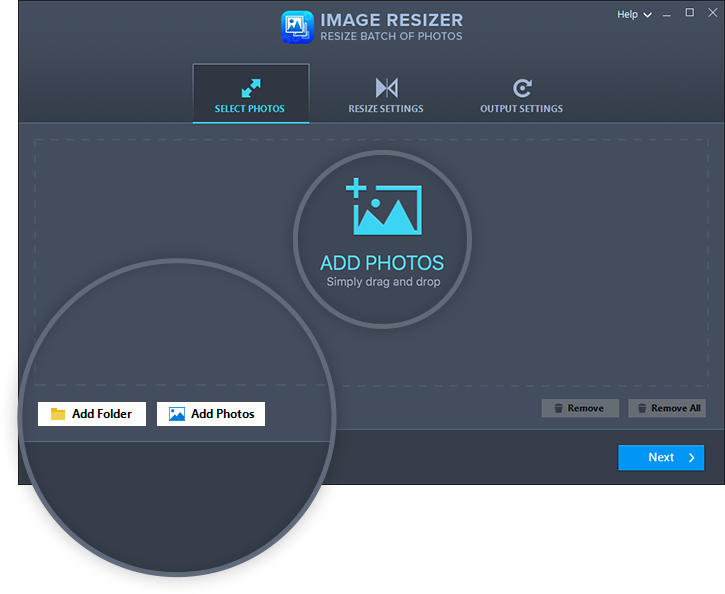 Image Resizer saves your time by offering you multiple image resizing. Regardless of the image format, adjust image height and width or just apply predefined sizes to an entire batch of images. Simply, drag and drop images or add a folder to Image Resizer and alter the image size to any proportions, without sacrificing quality. 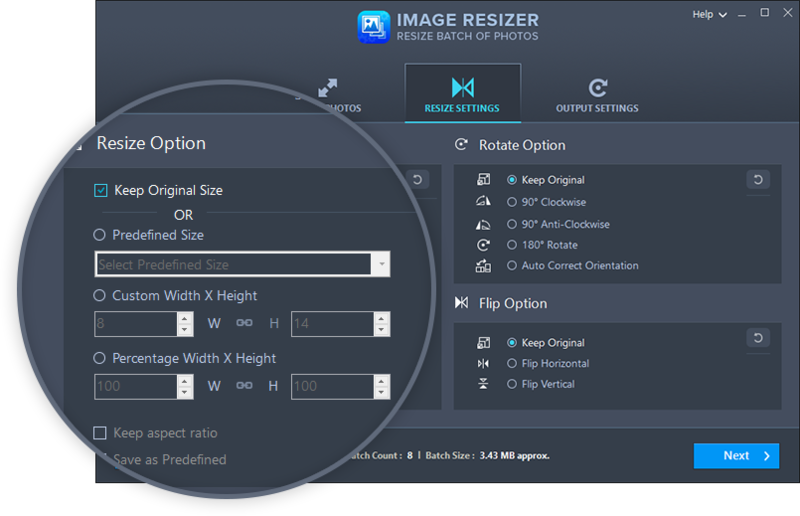 Image Resizer provides multiple options for adjusting image size thus making the process simple for users. You can either choose from the preset sizes or enter custom dimensions according to your preferences. With its smart algorithms, Image Resizer ensures that image quality is never compromised, irrespective of size. Incorrect image orientation is a major hassle, especially for amateur photographers. Moreover, images with inaccurate orientation are a visual annoyance. Image Resizer gives an option to automatically correct wrong orientation. Additionally, images can be rotated clockwise/ anti-clockwise or can turn it them over 180 degrees based on your liking. 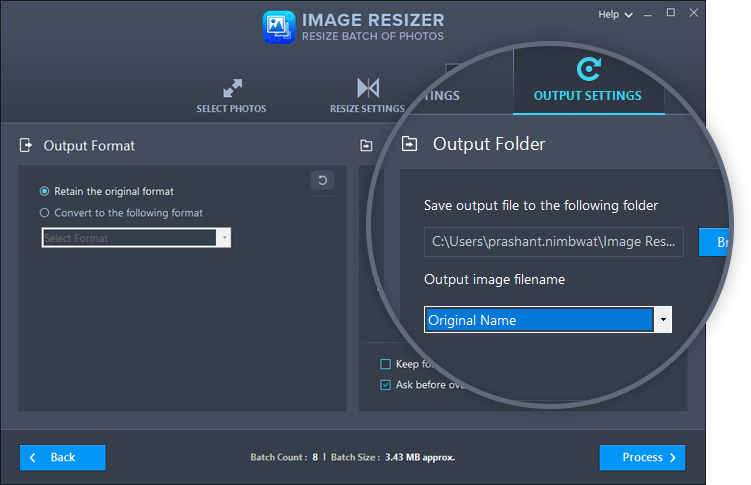 Whether it is a single photo or an entire batch of resized images, Image Resizer allows to change file format for photos to any popular image format of your liking. Using it you can convert images to .JPG, .JPEG, .PNG, .BMP, .GIF, .TIFF, .TIF. 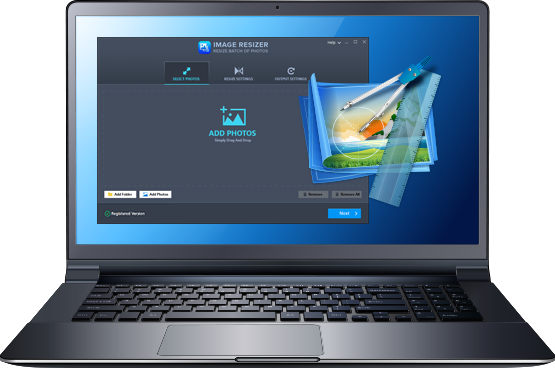 This means Image Resizer, not only works as a resizing tool, it can also be used as a file format converter for your digital images. There’s certainly a lot more to this tool than what meets the eye. It not only helps rescale image size without compromising with quality, but also lets you collectively rename them along with saving them in neatly labeled subfolders. 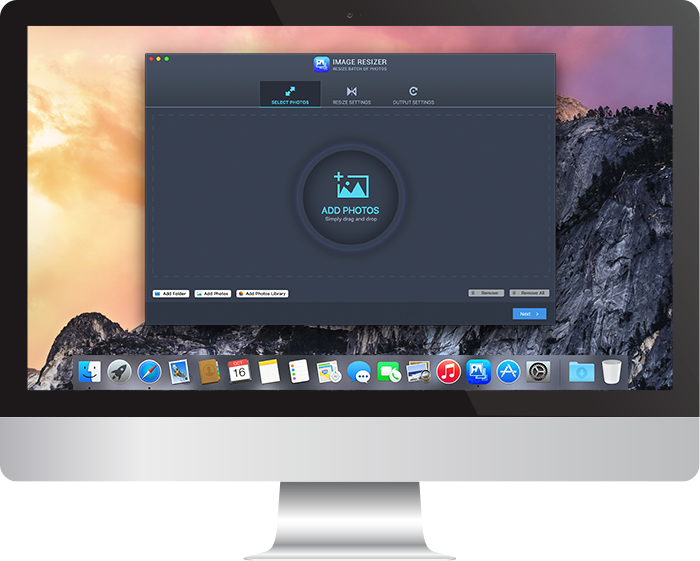 This tool is certainly an all-in-one tool that helps organize and optimize your photo collection and other saved images. Image Resizer automatically creates log reports for each image rescale session. These reports provide additional details on the resize tasks that can be used for later review. Resize multiple images in a second! Too many images take up most of your storage space? 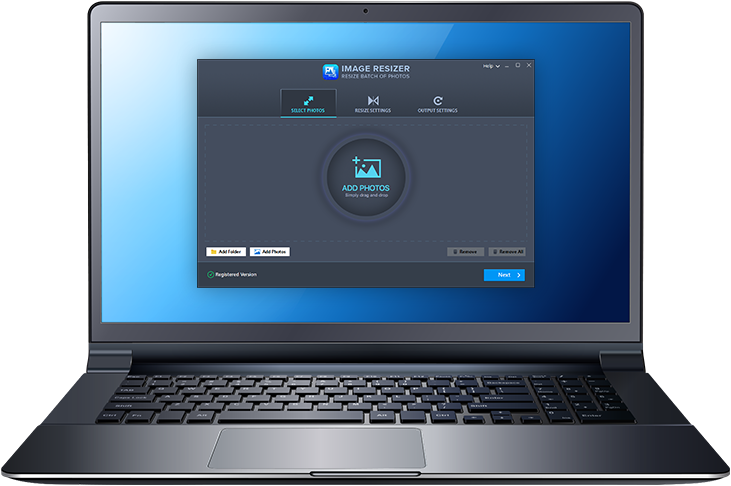 With Image Resizer tool, you can not only rescale image size but can also neatly organize your save photos. It can scale-up or scale-down multiple images together, making them less bulky. Users can also rename batch images and arrange them in different sub-folders.